Styled with arjun knit top and sadiki pant . 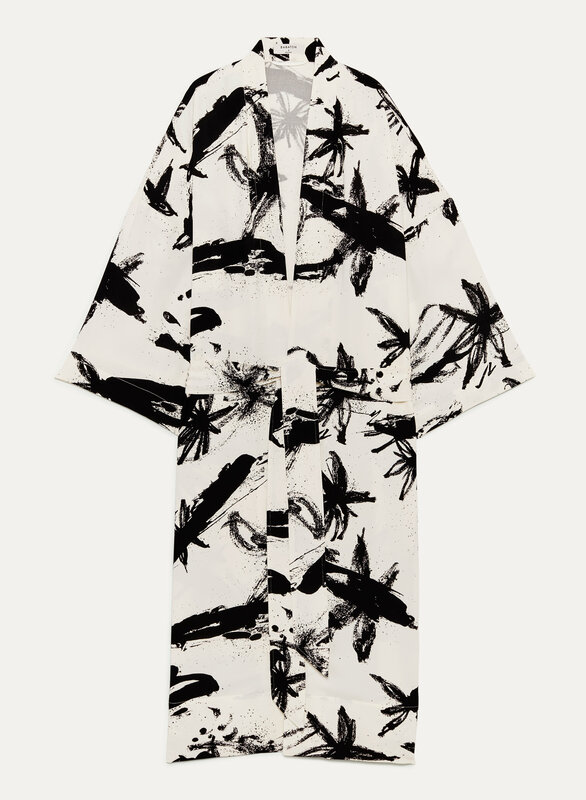 This robe jacket is made with a matte satin that that drapes just so. The lightweight feel and relaxed fit make for an essential layering piece — perfect for when the weather warms up. The custom print was designed in-house exclusively for Babaton.